Come by and see MOZIK Live!!!!! 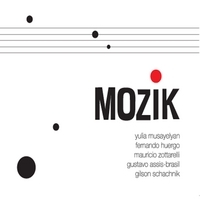 Welcome to MOZIK music! Feel free to navigate through the site, hear our sounds, watch videos, see photos and recent news, and follow us on Facebook, by clicking on the FB link on the right side of our page. Most importantly, catch us performing live one of these days! Thanks for your support!